Cool! 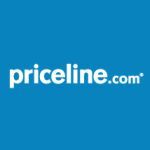 Save an average of 20% on Priceline with 16 Coupon Codes, and 37 Deals! Priceline is an online agency that allows travelers to obtain significant discounts of up to 60% on their travel service purchases. Priceline allows customers to name their price for services and reviews suggest that this concept has been eagerly embraced by their customers. Details: Save an additional 5% off Express Deals Hotels with promo code + find savings up to 60% off with the Spring Hotel Sale. Apply code at checkout. Expires on 04/04/2014. Details: 5% off New York hotel. Valid on Express DealsÂ® hotel stays, 3 star or higher, check-out by 5/27/2013. Ends 4/10/13. Details: Montreal Canada Hotels from $26/night! Details: Search Over 200 Properties In Las Vegas & Find Great Deals On Hotels With Rates As Low As $15 A Night! Search by locations, ratings, amenities & hotel brands. Details: Save up to $500 on Hawaiian Packages & Book Your Vacation. Experience miles of beautiful beaches & sunsets. Plus, ancient volcanoes, lush forests, and always-friendly people! Details: Name Your Own Price! Save up to 60% on Hotels in or Near Los Angeles, CA. Details: Find & Save On Your Next Stay In Las Vegas! Find Great Deals On Flights, Hotels, Cars, Vacation Packages & More! Book Your Trip Today. Details: Last-Minute Cruises: Save up to 75% Off from $60/ Night! Plus exclusive offers of savings up to $1000 in Free hotel stays. Hurry, event ends soon. Details: Save up to $500 on Las Vegas Vacation Packages When You Select A Flight + Hotel! Great Deals With Rates As Low As $215 per Person! Details: Save up to $150 with Flight + Rental Car Package. These packages include special discount airfare and rental car pricing from partners. Details: Choose from Over 3,000 Marriott Hotels in 67 Countries. Book your next family vacation at a participating Marriott hotel and receive complimentary goodies available at check-in. Details: Save on your stay in Los Angeles, with Hotels starting at $42. Prices subject to change, see site for details. Details: Save up to $500 on Mexico Vacation Packages from $620 per Person. Enjoy sand, sun and tequila when you book your priceline package. Check out these great deals. Details: Experience Las Vegas Strips Ultimate All-Suite 5-Star Resort, Hotel, and Casino & Book The Venetian from $274. Details: Name your own price! Bid and save up to 40% off flights. Book your travel today! Details: Save on last-minute deals! Up to 60% Off Hotels, Flights, Cars, Packages! Offer ends 12/30/14. Details: Search Over 200,000 Freebies and Discounts. Enjoy free nights, upgrades, free extras, and more! Details: Hotel Getaway Sale up to 38% Off + Instant Discounts & Other Hotel Freebies. See site for details. Limited time offer! Details: Save an additional 5% off Express Deals, with savings already up to 45% off hotels. Apply coupon during reservations. Expires on 02/06/2014. Details: Take 50% off all Kitara. Terms and conditions may apply. Expires on 02/12/2014. Details: Get $20 off any service when you sign up + Free ride. Expires on 03/08/2014. Details: Get up to 70% Off + $15 Off flights to Cotonou. Expires on 03/31/2014. Details: 5% off San Diego hotels. Valid on Express Deals hotel stays, 3 star or higher, check-out by 5/27/2013. Details: Save up to 50% off plus an additional 5% off Chicago, San Francisco, Boston, & Orlando Express Hotel Deals. Choose from a huge collection of 2-star and above hotels at incredible prices, with no bidding required! Enter code at checkout! Offer ends 12/27/13. Details: Savev $50 off an Express Deal Hotel of $895 or more. Valid only on Express Deals of 3-stars or greater. Enter code at checkout. Only available when used through participating partner websites. Offer ends 12/31/13. Details: Take 5% off Express Deal Hotels in New York City only. 2-star or higher hotel. No other stay requirements. Book by 2/2/14. Details: Get Up to 60% Off any hotel 2 stars or higher + an extra 5% Off. Expires on 03/07/2014. Details: FREE $20 rollback for next ride 100% guarantee! Details: Save Up To 40% Off Last Minute Rental Cars! Great Deals With Cars Under $16 A Day. Details: Name Your Own Price or select the exact rental car agency. Savings up to 40% Off on major R/C brand like Alamo, Avis, Budget, Hertz, National & more! Details: Hotel Deals: 50 Cities for $50 & Under! Its easy, Name Your Own Price® & save up to HALF off over other leading online sites. Details: Save up to 60% Off hotels- no bidding required! We'll show you the amenities, star rating, neighborhood & price of each hotel before you book. 12/30/14. Details: Get great hotel freebies on your next stay, such as free internet, parking, room Nights, upgrades & more! Offer ends 12/30/2014. Details: Get $50-$1000 Off eligible hotels booking certain cruises. This exclusive offer is like 2 trips for the price of 1, and available only at Priceline Book a qualifying cruise getaway and well give you up to $1,000 in FREE hotel coupons just for choosing to sail with us. Whats more, you can take advantage of this special offer before, or after your sailing-you make the call. Deals this good are rare, and will not last, so act now before its too late. Terms and conditions apply. Expires on 03/31/2014. Details: Save up to 53% in San Diego + Free Breakfast, Internet, Parking + More at Select Hotels. Details: Save with rental car freebies & instant discounts. Expires on 12/31/2014. Details: Save up to 60% off with Name Your Own Price hotels! Offer ends 12/30/14.